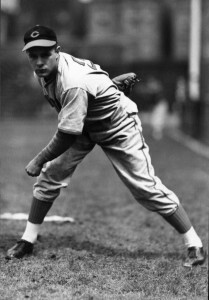 We’re continuing our look at baseball’s six “other” back to back starts in recognition of Cincinnati Reds pitcher Johnny Vander Meer’s amazing accomplishment 78 years ago. On Saturday, June 11, 1938, Vander Meer no-hit the Boston Bees at home at Crosley Field. Four days later, he would no-hit the Brooklyn Dodgers at Ebbets Field to become the only major-league pitcher to throw back-to-back no-nos. The Detroit Tigers’ Frank MacCormack, who was 0-5 on the season, got the start against the Brewers at Milwaukee County Stadium on July 26, 1976, and nearly backed his way into the record books despite a brief horrible outing. Jim Crawford took over with the bases loaded and walked in two runs, but finished out the inning without allowing a hit as the Brewers led 2-0. Starting with the final out of the first inning, Crawford retired 22 straight batters and didn’t lose the combined no-hitter until the ninth, when George Scott led off with a single to center. The Tigers wound up winning 4-3 in the 13th inning. MacCormack never pitched another inning for the Tigers, but the Seattle Mariners drafted him from the Tigers in the 1976 expansion draft. 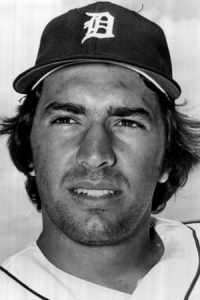 MacCormack got his next start during the second game of an April 24, 1977 doubleheader at the Kingdome, and this time he made it into the fourth inning without allowing a hit, but his wildness against the Kansas City Royals got the best of him. MacCormack began the game by walking George Brett and he allowed him to advance to second on a wild pitch. He then hit John Mayberry with a pitch but escaped the inning without allowing a run. The second inning was less eventful, with just a lone walk, but MacCormack got into trouble in the third. He again led off the inning by walking Brett and then hit Hal McRae with a pitch. He managed to get one line-out before throwing a wild pitch to Mayberry, allowing Brett to score. He got out of the third, but when he walked Cowens to lead off the fourth inning, Manager Darrell Johnson called to the bullpen for John Montague, who finished out the game for a 4-2 victory. The two games weren’t pretty, but MacCormack can say he had back-to-back no-hit starts.